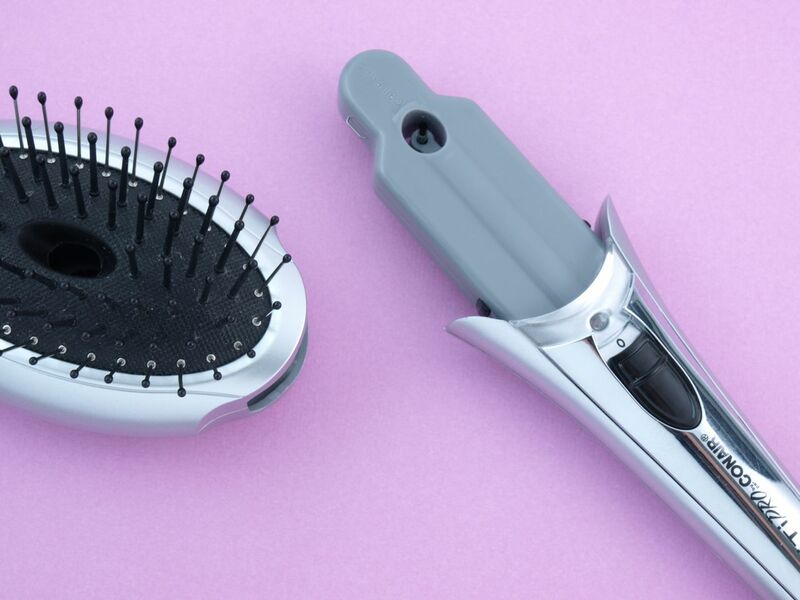 The Ultimate Hair Brush has a pretty simple design. The handle is a shiny silver and it has an on/off button that controls the ion generator. When the device is on, the little indicator lights up and the ion generator makes no noise. The fairly compact brush features a cushiony base with ball-tipped bristles. 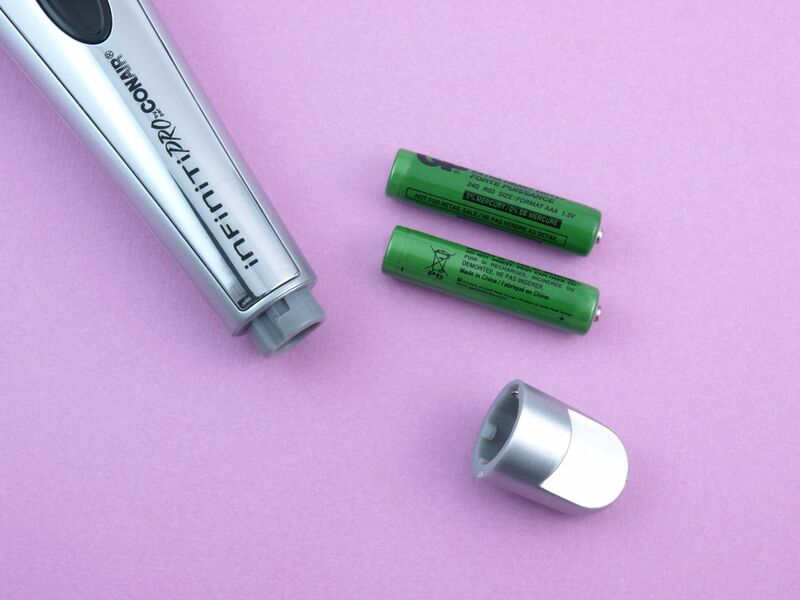 Two AAA batteries (included) are required to operate the ion technology and the brush head is detachable for easy cleaning. The batteries will last up to three months of usage. So does this ionic anti-frizz technology really work? I was quite skeptical at first, but the result is definitely real! 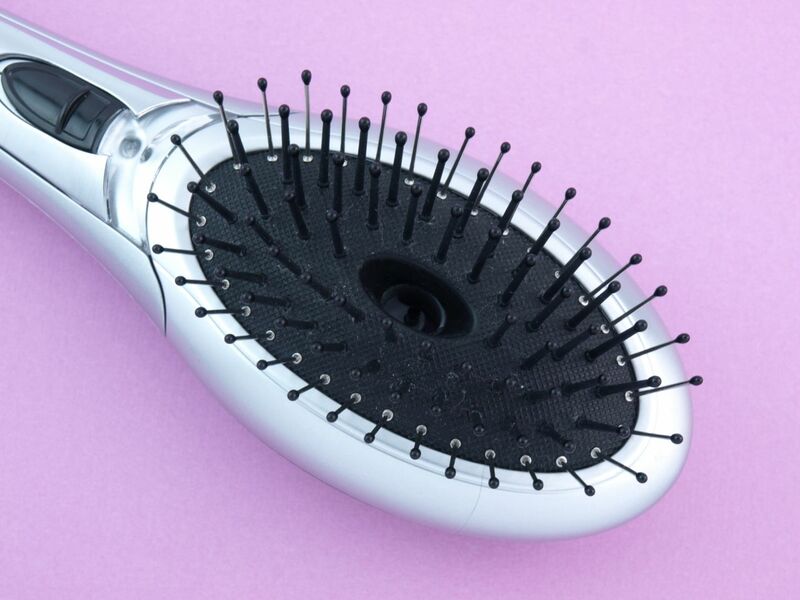 I have frizzy hair and often experience static flyaways and upon the first time I put this hair brush through my hair, I noticed a smoother and less-static-y finish! So yes, this really does what it claims! The brush itself is actually a really nice brush as well! I love the bouncy cushion-y base and the smaller size of the brush head makes it easier to run through the hair. The only criticism about the brush I have is that I wish it has a more prominent indicator that the device is turned on as I often forget to turn off the ionic generator. Most people aren't really accustomed to turning on and off their hair brush and the little indicator light is just a tad too subtle. I don't think the brush has an auto-shutoff either so a lot of battery life can be wasted just from forgetfulness. 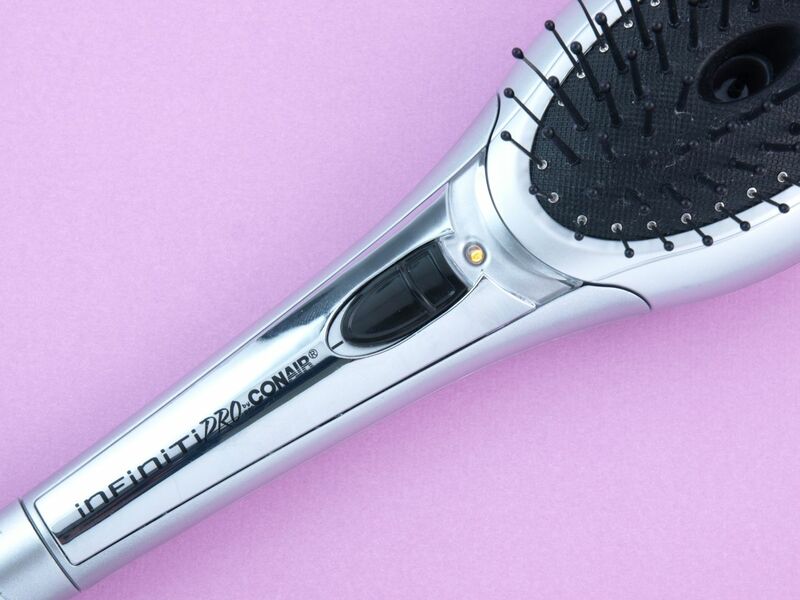 Winter weather, air conditioning, synthetic fabrics, and lots of other things in our day to day life can make our hair frizzy and static-y so the Conair The Ultimate Hair Brush comes in very handy. 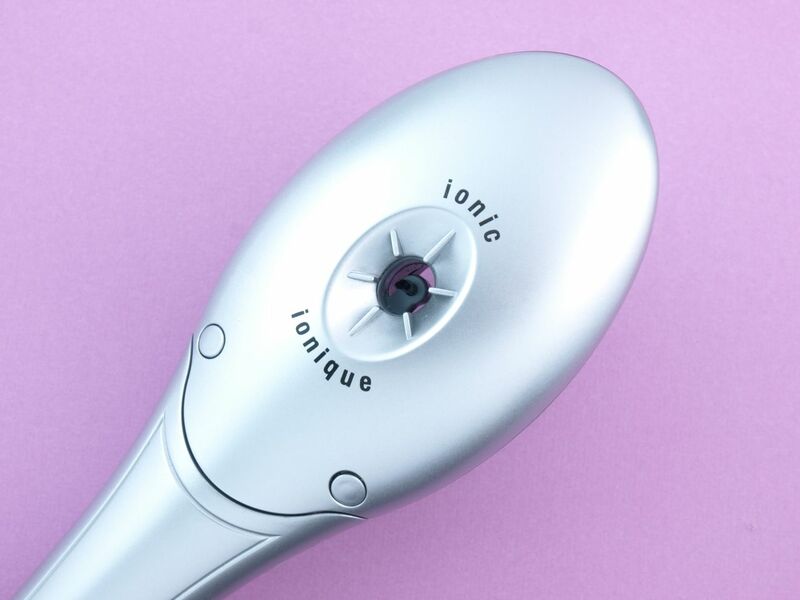 The ionic anti-frizz generator works as it claims, visibly reducing frizz and static from the hair. Just remember to turn off the ion generator after each use! 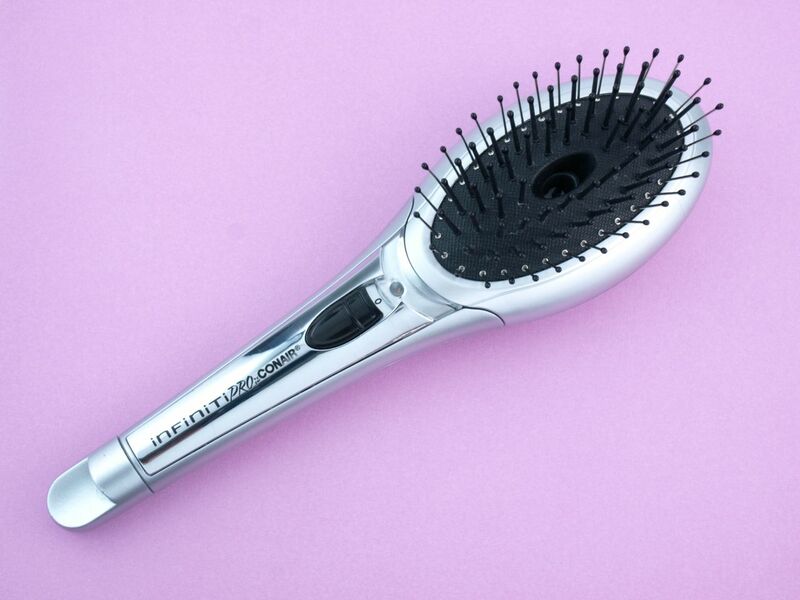 The Conair Infiniti Pro The Ultimate Hair Brush is available online and in stores at London Drugs.